Following the rather disastrous non-completion of my PDP-11 restoration project for the Summer 2012 Retrochallenge, I have decided to bite off a much more realistic and completable project for the 2013 Retrochallenge Winter Warm-Up. 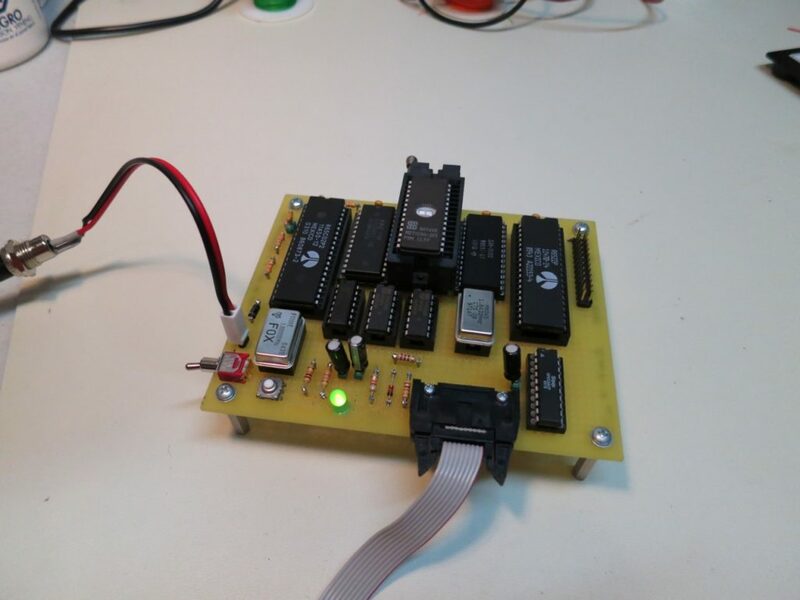 Last month, I built this small 6502-based single board computer to play with. It is nothing special, but I learned a lot while putting it together and had quite a lot of fun. It's a super minimalist setup: R65C02 CPU, 32KB SRAM, 16KB EPROM, R6522 VIA, R6551 ACIA, a couple of oscillators, and a couple of 74HC00s and an 74HC14 for address decoding and reset. I wire-wrapped it, and I was thrilled when I got it working and running Enhanced 6502 BASIC. But it's really just a toy, you can't do very much with it. My biggest gripe by far is that there's no mass storage, you can't SAVE or LOAD anything, so you'd better hope your BASIC program isn't very long. In the spirit of 1970s computer home-brewing, I'd like to fix that problem by adding an audio cassette I/O system for mass storage. I think this would be a good, small Retrochallenge project. And it's a great unknown to me, certainly something I've never done before, so it should be very educational as well!